Russulales News / Where do we find Russulales? Where do we find Russulales? 2. Where do we find Russulales? Russula and Lactarius are dominant mushrooms in most parts of the world. All known Russula, Lactarius as well as many other Russulales are mycorrhizal mushrooms. These can not develop or survive unless they live in symbiotic association with the root system of vascular plants with which they form special structures, called ectomycorrhizae. So, Russulales grow everywhere where their host plants — mainly trees — are found! Most Russulales are able to establish mycorrhizae with different species of trees or shrubs, some others are strictly associated with one particular species of plant. This makes them a very fascinating group! 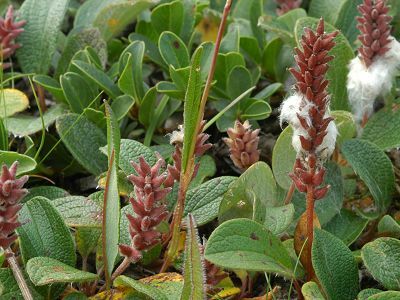 You can find Russulales within the Arctic circle or above the tree-line on mountains, where they are sometimes taller than the dwarf willows or herbs such as Dryas octopetala with which they are associated (in the picture: Salix reticulata). Characteristic species are e.g. Lactarius brunneoviolaceus, Russula nana and R. dryadicola. The very extensive conifer forests of the northern boreal, temperate and subalpine zones are inhabited by many Russula and Lactarius that are often exclusively associated with conifers (Picea, Pinus, Larix, Pseudotsuga), and often very specific in their host tree choice. Characteristic species are e.g. Lactarius scrobiculatus, Russula queletii and R. sanguinea. 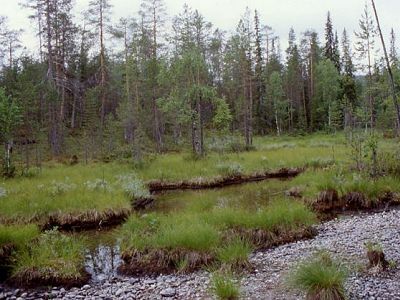 Wetlands, and particularly sphagnum bogs, harbor several Russula and Lactarius species that are characteristic for these habitats. Also quite a number of other Russulaceae, more typical of drier vegetations, can thrive in these wet habitats, developing often more fragile fruit bodies with longer stipes. Characteristic species are e.g. Lactarius sphagneti, L. pilatii and Russula griseascens. 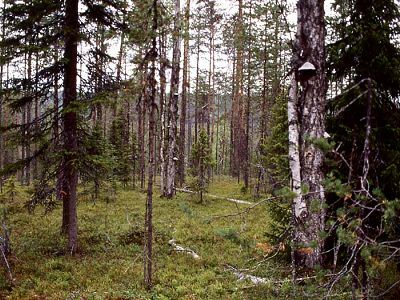 Russulales compose one of the major groups of ectomycorrhizal fungi in most types of broadleaved forests of northern temperate regions. Most important mycorrhizal tree genera and some characteristic associates are Quercus (e.g. Lactarius quietus, Russula amoenolens), Fagus (Lactarius blennius, Russula olivacea), Carpinus (e.g. Lactarius circellatus, Russula carpini), Betula (Lactarius pubescens, Russula gracillima), Salix (Lactarius aspideus, Russula subrubens), Populus (Lactarius controversus, Russula melitodes) and Alnus (Lactarius omphaliformis, Russula pumila). In Europe, Russulaceae grow also in man-made habitats like parks, church-yards and roadside verges planted with ectomycorrhizal trees. 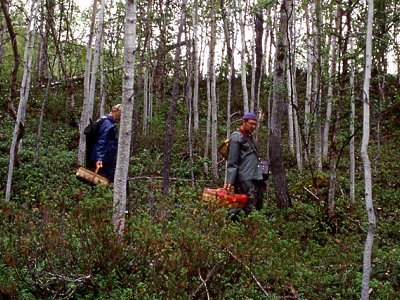 In some areas, these habitats might even be important refugia for rare species. 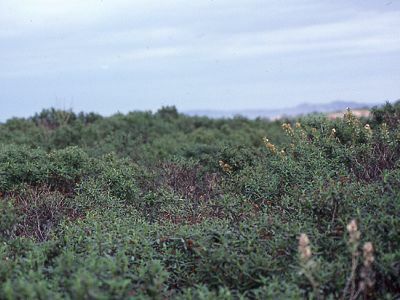 Along the coasts of the Mediterranean sea the Cistus scrub is one of many interesting environments where you can look for Russula and Lactarius, as well as many other ectomycorrhizal species. Characteristic species are e.g. Lactarius tesquorum and Russula cistoadelpha. In the southern hemisphere, the oldest known trees in the beech family, the genus Nothofagus, may originally have been associated with other mushroom groups, before it came in contact with members of the Russulales as witnessed by the absence of the oldest groups of Russula and Lactarius. Examples of characteristic species are Russula fuegiana and Lactarius sepiaceus. 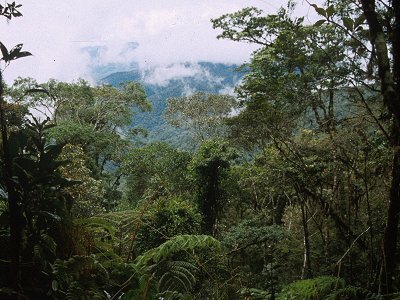 Very large areas of the extensive rain forests of tropical Africa are dominated by the same and some other host tree genera as the surrounding woodlands (Brachystegia, Julbernardia, Uapaca, Gilbertiodendron...). 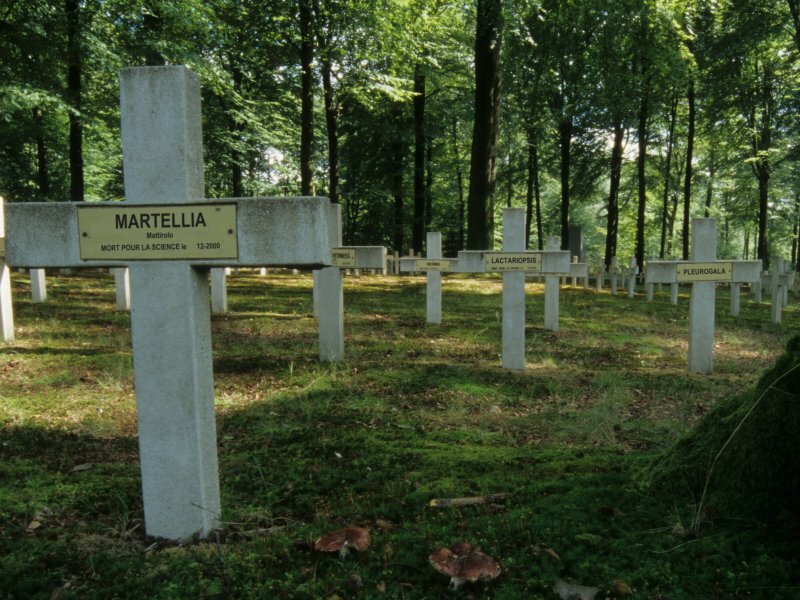 Some of the smallest and most fragile — sometimes even annulate — Russula and Lactarius species can be found in these forests, which are home to many ectomycorrhizal fungi. Examples of characteristic species are Lactarius gymnopcarpus and Russula gossypina. 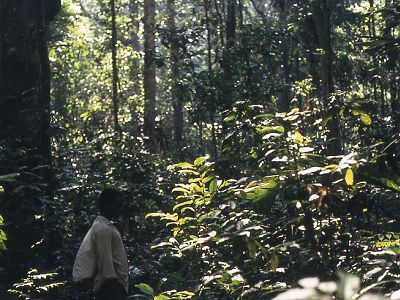 During the rainy season, Russula and Lactarius are common and diverse mushroom genera in the African miombo woodlands, dominated by ectomycorrhizal trees belonging to Brachystegia, Julbernardia, Uapaca or Isoberlinia. 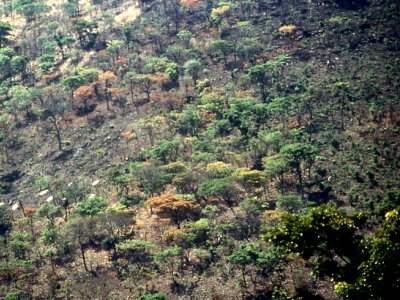 In the picture: Julbernardia woodlands in eastern Burundi during the dry season. Examples of characteristic species are e.g. Lactarius kabansus, L. gymnocarpoides, Russula patouillardii, and R. ciliata. 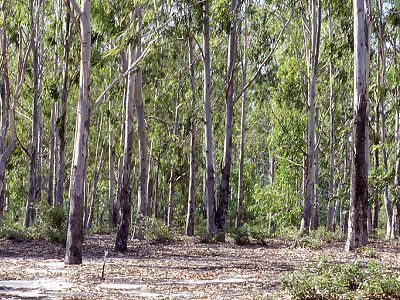 Many Eucalyptus, but also several other tree genera in Australia, are associated with large numbers of still unnamed epigeous and hypogeous Russulales. Characteristic species are Lactarius eucalypti and Russula clelandii. Last update: 27/12/2010 - 1488789 visits (4032037 pages) since 09/01/2004.